charged for the upcoming holiday season and for formulating ideas for your next quilting project. And, there is no better way to do just that, than with our feature speaker this month. Okay, these are only surface clues.......there is soooooo much more depth and experience about our guest speaker this month, but I hope you will want to come hear more and see firsthand at the trunk show ....with CINDY LAMMON. 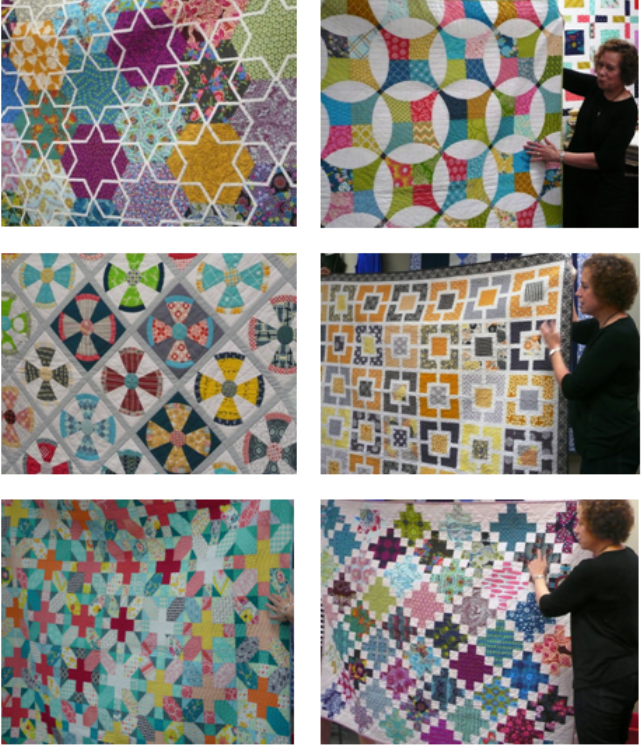 As mentioned last month, it has been confirmed that we can meet prior to our normal meeting time from 10:00a.m - 1:00pm at Bernina Sewing Center to begin work on sewing our blocks for the QuiltCon Charity Quilt. Come be a part of this special group project.